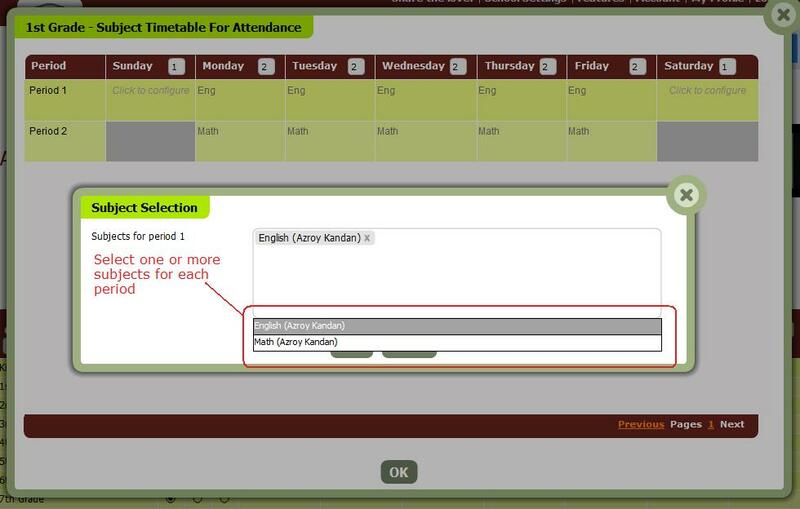 Taking attendance in QuickSchools, whether it’s homeroom-based or subject-based, is pretty straight forward. 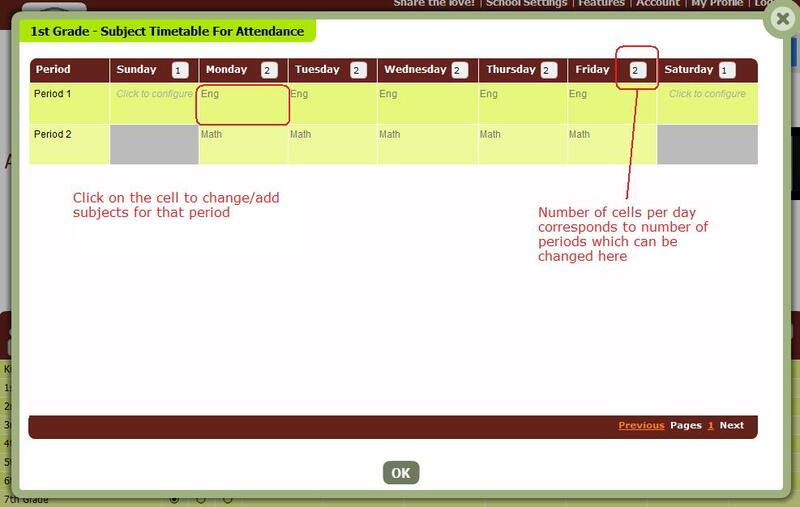 Just click on the appropriate Attendance menu, and click “Start Taking Attendance”. After that, a list of all your students will appear. 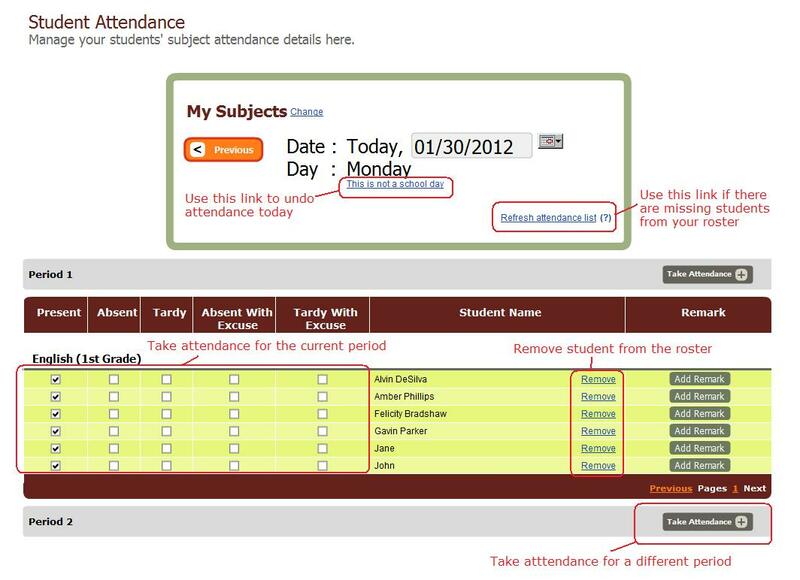 From there, you can change the attendance record for a student, enter remarks, or if it’s not a school day and you want to remove the attendance record for all students, simply click on “Not a school day”. If you’re on the “Subject-based” screen, and the “Start taking attendance” button is greyed out, that means that you don’t have any subjects scheduled today. If that is a mistake, you’ll need to speak with your school administrator to fix it. By default, all attendance is homeroom-based and taken daily (D is for daily). P is for Period-based, which is still homeroom-based but with multiple periods. S is for Subject-based, and if you select this option for a particular grade, a “Configure” link will appear. 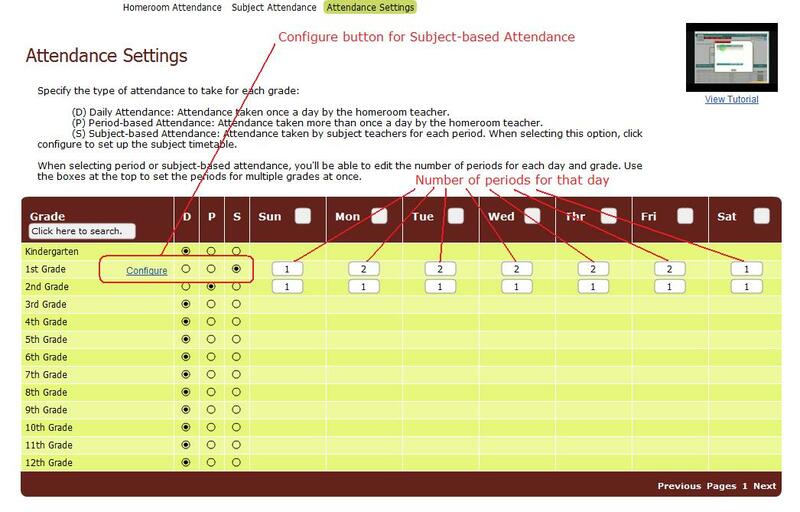 Clicking on the link will allow you to setup periods, and assign subjects to each period. The subject teacher would then take attendance based on students who are enrolled into that subject. You can use the boxes on top to set up the number of periods that day. Then click on a cell, and select the subjects from the dropdown. You can select multiple subjects if they are concurrent that period.